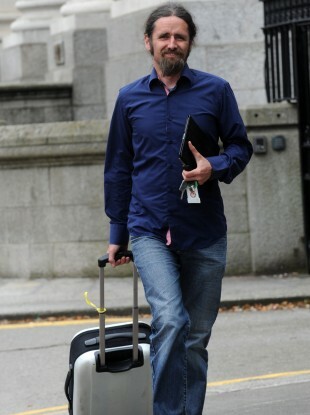 INDEPENDENT TD LUKE ‘Ming’ Flanagan has topped the poll, but has not been elected on the first count. Flanagan took 124,063 votes in the first count in the Midlands-Northwest constituency, putting him 5,227 votes under the quota of 129,290. However, on the second count, he took 5,498 votes and was elected by 271 votes. Flanagan’s Dáil seat in Roscommon-Leitrim will now be vacated, with a by-election set to be held after the summer. Speaking after his election, Flanagan eschewed historical quotes and went for a rap metal band. He also took aim at Ruairí Quinn, who suggested people voting for him were protesting. Flanagan said that Europe “must listen” to the people. However, despite what he calls his “compassionate Euro-scepticism” approach, he does not align himself with UKIP leader Nigel Farage. Sinn Féin’s Matt Carthy lies in second, on 117,670 votes, with Mairead McGuinness of Fine Gael on 94,019 votes. For the fourth seat, it will be a three-way fight between Fianna Fáil’s Thomas Byrne and Pat The Cope Gallagher and independent Marian Harkin. Email “"Some people quote Shakespeare, I quote Rage Against the Machine: "It's time to take the power back.""”. Feedback on “"Some people quote Shakespeare, I quote Rage Against the Machine: "It's time to take the power back. ""”.